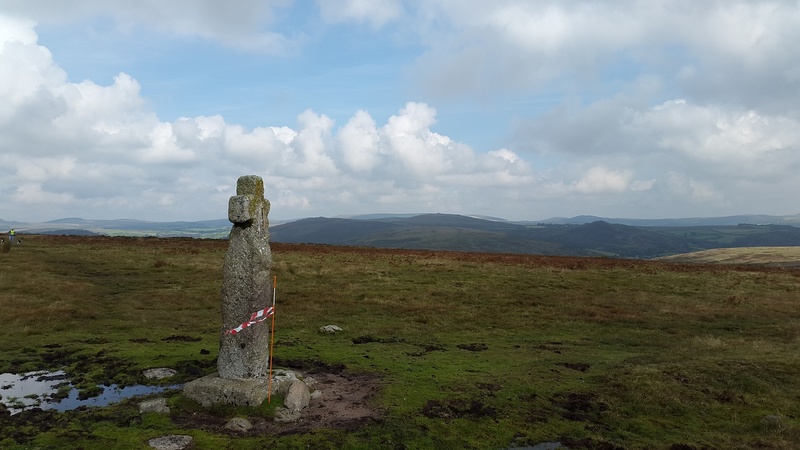 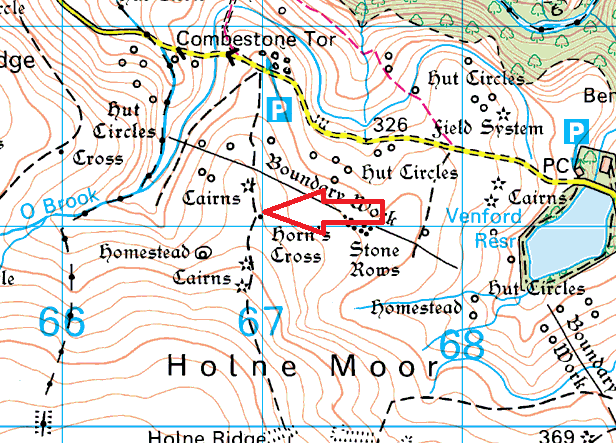 Horn’s Cross stands on the Maltern Way on South Dartmoor, near to Ryder’s Hill. 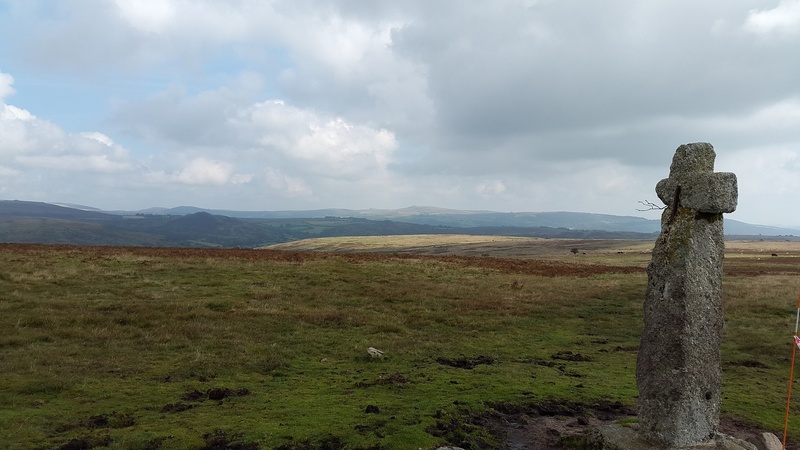 The views from this cross are excellent, especially northwards and across to Haytor. 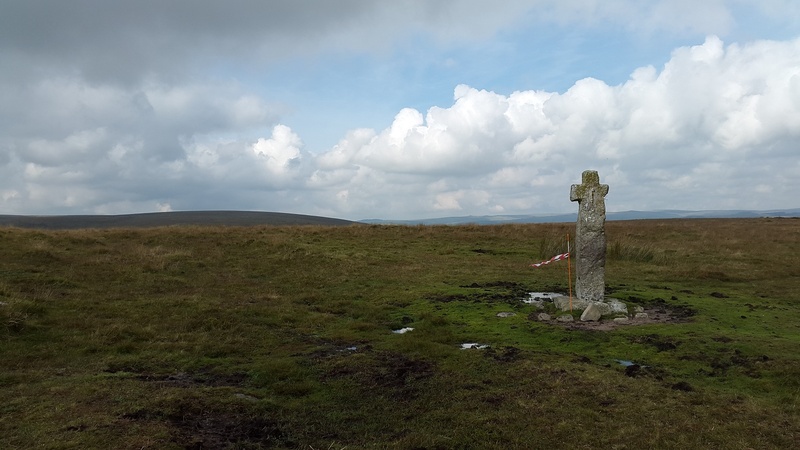 The cross itself is fairly damaged, probably by the unforgiving weather up here on one of the highest points south of Two Bridges.